Mike Martin and Adam Lowry were able to skip the final two races of the International 505 World Championship, having secured the title with a day to spare. Winners of the penultimate race (R9) were the Dane/Aussie pair Jan Saugmann and Marcus Cooper with South Africa’s James Largier and Richard Hutton-Squire in second, and Peter Nicholas and Luke Payne of Australia third. The honours for the final race also went to Nicholas and Luke Payne with Germany’s Julian Stueckl and Johannes Tellen taking second, with Mike Holt and Carl Smit of the USA in third to confirm their second place on the final podium. Parker Shinn and Eric Anderson made it an all US final podium with Nicholas and Payne claiming fourth, Howard Hamlin and Jeff Nelson USA were fifth and sixth were Wolfgang Hunger and Holger Jess of Germany. Britain’s Ian Pinnell and Reeve Dunn finished in seventh, Nathan Batchelor and Harry Briddon tenth and Penny and Russ Clark 20th. 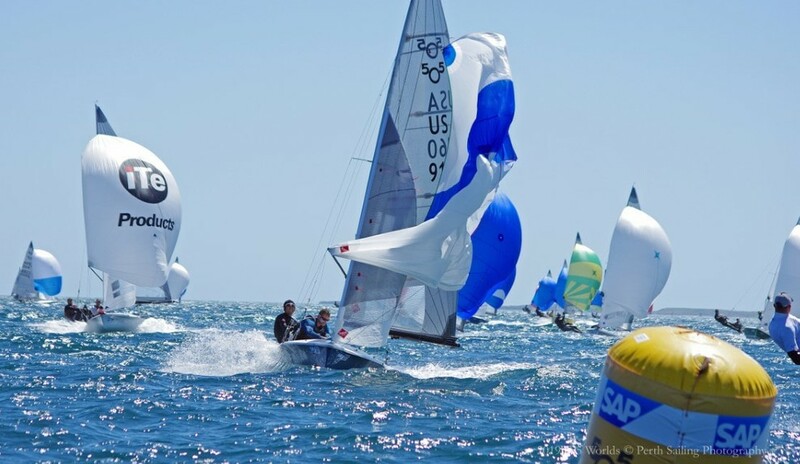 The 505 World Championships now moves to Båstad in Sweden in July-August 2020.